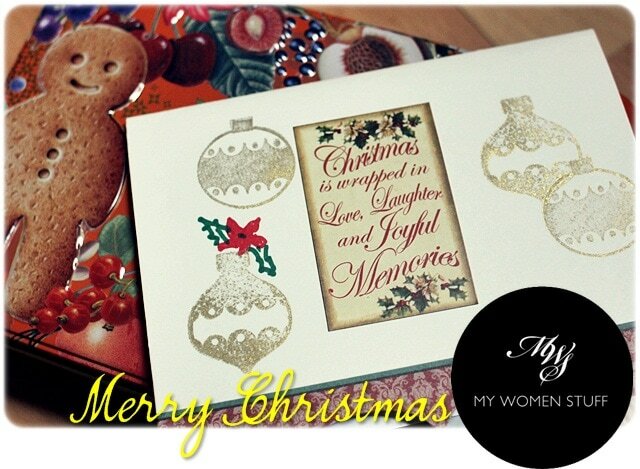 Home » Musings » Merry Christmas! I got myself a special gift this year, come by and see! Merry Christmas! I got myself a special gift this year, come by and see! I’ve had the old one for quite a few years now, and I’d been thinking of making a change for a while. 2012 was a year of changes, so it was about time to change some things around the blog too. A little bit of tweaking will still be going on but it will be minor in the bigger scheme of things 🙂 There shouldn’t be any rabbit holes to fall down, but if you do please holler and I’ll pull you right back out! NEXT POST: Your Say: What is your favourite NON-Beauty item of 2012? Merry Chistmas Paris, I love the logo and whole look, well done! Eeks! Thank you Jacqueline! I have the logo designer to thank for that! 😀 I hope your Christmas was a lovely one and here’s wishing you a happy new year ahead! Thank you Espenine! I never thought of the S as looking musical but now that you mention it, it does! I’m not very musical btw LOL 😉 Hope you had a nice Christmas and happy new year ahead! Happy New Year to you too, Jean! Hope your Christmas was a good one! Am loving the new look of the blog…. Merry Christmas~! Thank you Allison! I’m glad you like it 😀 I hope you had a nice Christmas and happy new year ahead! Thank you Bita! Hope yours was good too! Hi Beth! Thank you so much! I hope you had a lovely Christmas celebration with your loved ones and a Happy 2013 ahead! Merry Christmas! And the new header is beautiful! I haven’t been on your blog in awhile and this is a great surprise! I am especially glad you have the option to receive your new posts through email! Anyways Merry Christmas again! Hope you had a great Christmas! Love the new design, it’s so classy! Merry Christmas and BLESSED NEW YEAR 2013!! Thank you AnT! Hope you had a wonderful Christmas and Happy New Year ahead! Please forgive what could be a rather “duh” question from a fairly green blog follower but how do I now get to your main/home page after going to your other or earlier posts? I now have to click on my bookmark of your page. Previously I think you had a “home” option at the pull down under “About”.. Thank you JK! So sorry for the confusion, but you can now get back to the main page by clicking on the logo. Previously, the logo wasn’t clickable hence the need for the “Home” tab but now that it is, I thought to get rid of it. Guess I should have mentioned it oops! Love the new logo! Simple and classy! Thank you Gio! I hope you had a lovely Christmas with your loved ones!